As the forum for culture and innovation, New York City is the destination for all technology enthusiasts and professionals alike. Every year this bustling city hosts some of the country’s best tech and digital conferences. 2016 is definitely not an exception. If your interests span content marketing to all things digital, we have narrowed the endless list of conferences down to five diverse and spectacular tech shows you surely do not want to miss. Held at the Crowne Plaza Times Square Manhattan, Digimarcon is the conference for digital marketers. With discussion topics spanning Content Strategy, Mobile Marketing, Targeting & Optimization, and so much more, Digimarcon is the tech show for attendees who want to develop better digital and overall business strategies. Spanning four days with over 95,000 attendees, Advertising Week is designed for Marketing and Advertising professionals with seminars and workshops drawing from all media industries – including technology, start-up, and agency communities. The gathering is an immersive experience in venues covering four city blocks, including The Times Center, NASDAQ, and Thomson Reuters. Featured speakers range from Warby Parker CEO, Neil Blumenthal, to Hip Hop artist Big Sean. Headlined as the “event for modern marketing and media”, Ad:Tech is aimed towards a wide range of attendees. Located at The Javits Center, the conference gathers talent from the marketing, technology, and media communities. It brings them together to provide opportunities to share ideas and build strong relationships in the industry. As the LARGEST business conference on the Northeast, the New York Business Expo and Conference is the perfect show for small to mid-size businesses looking to expand their networks. Sessions include essential topics such as Sales & Marketing, Social Media, Entrepreneurship, and more. The conference is located at The Javits Center in Manhattan. If you are looking for more than just tech talk and want an overall incredible gathering, Fast Company Innovation Festival is where you want to be. Over the span of three days all over New York City, the festival showcases the best innovations in business, design, entertainment, and technology. Innovation Festival was designed with creativity as its focus and features speakers in fields such as Music, Media, and of course, Technology. Located right in New York City, these events are excellent opportunities to build a bigger network for your business and open many doors. There are always opportunities out there – you just have to go grab them! 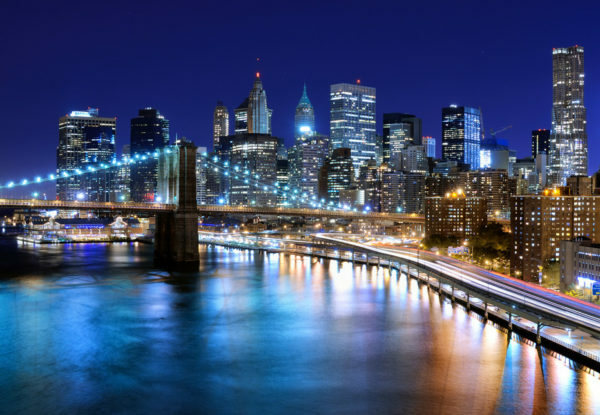 When you make it to the Big Apple, be sure to explore our home town, one of the greatest cities on earth! Happy 2016 everyone!